With a population of nearly 64,000, Békéscsaba , the capital of the county Békés lies along the southeastern border of Hungary, about 200 kilometers (124 mi) from Budapest. The name of the city comes from the word "Békés", which means "peaceful" in Hungarian, and "Csaba", a popular Hungarian male name of Turkish origin. Historic buildings, a new cityscape, the environmental heritage, large green open spaces with parks and promenades, and an abundance of events and programs attract many visitors to Békéscsaba each year. The area has been inhabited since the ancient times but the village of Csaba was first mentioned in the 1330s. Besides Csaba, eight other villages stood where now the town stands. When the Turks conquered the southern and central parts of Hungary, and these territories became part of the Ottoman Empire, the town survived, but it became extinct during the fights against the Turks in the 17th century. In 1715, Csaba is mentioned as a deserted place, but only one year later its name can be found in a document mentioning it as a tax-paying town. 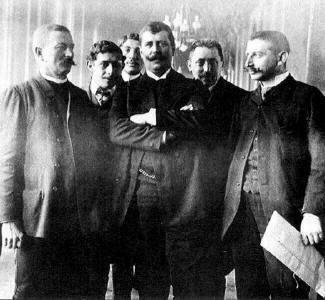 It is likely that the new Csaba was founded by János György Harruckern, who earned distinction in the freedom fight against the Turks and bought the area of Békés County. He also played a huge role in the re-domiciliation of the town: he invited Lutheran Slovak peasants to settle down here who kept coming till the end of the 18th century. Békéscsaba is still one of the biggest cultural centers of Slovaks living in Hungary. By 1847, the town was among the twenty largest towns of Hungary, with a population of 22,000. Nevertheless, Csaba was still like a large village, with muddy streets and crowded houses. 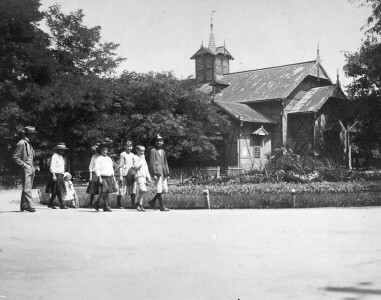 By 1858, the railway line reached the town. This brought development; new houses and factories were built, the town began to prosper. Still, by the end of the 19th century the unemployment caused great tension, and in 1891 a revolt was oppressed with the help of Romanian soldiers. One of the most important people in the politics of the town was András L. Áchim, who founded a peasants' party and succeeded in having Békéscsaba elevated to the rank of "city with council". World War I brought suffering to the town. Between 1919 and 1920, Békéscsaba was under Romanian occupation. 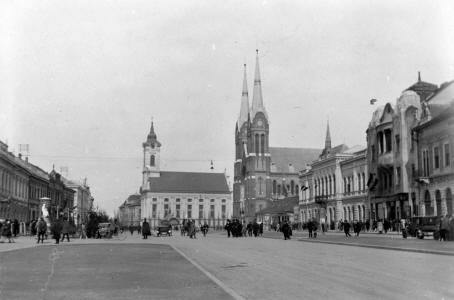 After the Treaty of Trianon in 1920, Hungary lost its most important Southern cities, Arad and Oradea, and Békéscsaba had to take over their roles, becoming the most important town of the area. 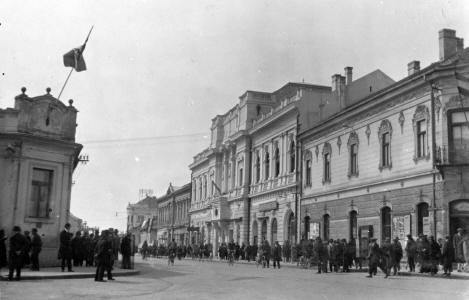 During the socialist times, Békéscsaba became the county seat of Békés (1950) and began to develop into one of the most important centers of food industry of Hungary. After the change of regime in 1990, the industry nearly collapsed and many people lost their jobs. However, today the crisis seems to be over and Békéscsaba is prospering again. The city of Békéscsaba has a lot of lovely spots to visit. One of them is the Élővíz Canal arising from the Fehér Körös, meandering through the city and flowing into the Kettős Körös. The Music Pavilion, erected in 1850 in Széchenyi liget (a city park) along the bank of the canal, is a modern visitors' center with a fine open space for eco-tourists and nature lovers. 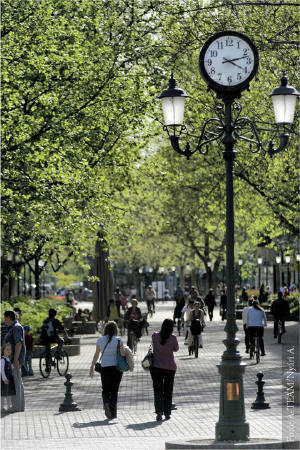 The park is also the 'lung' of the city; its unique flora and clearings are ideal for having a short rest or taking leisurely strolls in an enchanting setting. The bank of the canal is lined with statues of famous people with ties to the city. Superb buildings in Békéscsaba include the Fiume Hotel built in the 19th century, the Jókai Theatre and the Town Hall designed by architect Ybl Miklós. 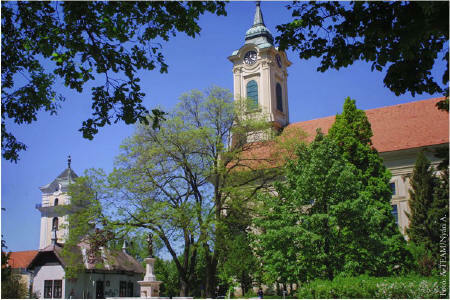 The Great Lutheran Church, the largest of its kind in Central Europe, and the period piece Small Lutheran Church, built in 1745, are landmarks of Békéscsaba. The Slovak Museum (a dwelling house turned into a skanzen-type building) offers a glimpse of a former Slovak lifestyle. Along with the above buildings, another major contributor to the inner cityscape is a Roman Catholic Parish Church, a remarkable piece of brick Gothic style architecture in Hungary, completed in 1910. Built in 1922, the Árpád Baths, thanks to recent renovations, now have 10 pools and offer medical and wellness services in the heart of the city. Gourmands can also enjoy the delicacies of the table in Békéscsaba. One of the best-known foods is the smoked sausage that bears the name of the city. Slovak dishes include strapachka. There are also various kinds of cabbage soups and the famous plum pálinka (a traditional type of spirit), which are a must for those who love to wine and dine. Visitors to Békéscsaba can choose from a wide selection of quality gastronomic and cultural events all the year round. 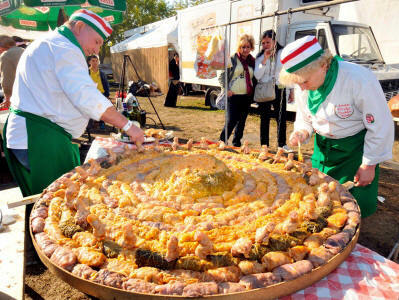 Held in October, the Csaba Sausage Festival has become one of Hungary's most prestigious gastronomic events. A series of cultural events, concerts, entertainments and 'disznóvágás' (slaughtering a pig with the help of neighbors and making sausages, ham and black pudding from it) add to the appeal of the festival. The true highlight of the festival is a sausage-making contest, where Hungarian celebrities also try their hand every year. Open-air events in Békéscsaba include the Csaba Beer Festival, Csülökparádé (a cooking competition where different varieties of 'csülökpörkölt' (pig's trotters stew) are prepared) and Lecsó (thick vegetable stew which includes peppers and tomato, onion, lard, salt, sugar and ground paprika as the basic ingredients) Festival. Békéscsaba was also the birthplace or hometown of a number of people who, at some time in their lives, earned international recognition. Without doubt, the most famous of them all was painter Mihály Munkácsy (1844-1900), the pride of the city. 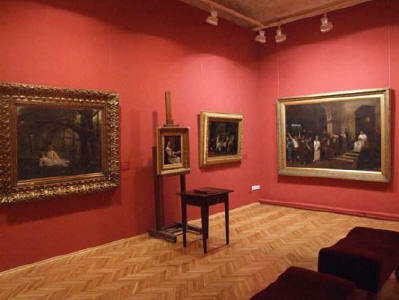 The Museum of the Year and Hungary's Most Visitor-friendly Museum in 2008, the Munkácsy Museum has the largest collection of his paintings in the world. The former Steiner-Omaszta Manor, now the Munkácsy Memorial House, displays the memorabilia of the great painter (whose roots link him so closely to the city), and also houses a number of highly enjoyable permanent or temporary exhibitions. The Jankay Gallery and the Meseház ('the fairytale house') are also well worth a visit. Another famous personality of the city is Enikő Mihalik (1987- ), supermodel. She was born and grew up in Békéscsaba but now lives in New York. She is currently ranked No. 40 on the Models.com Top 50-Women List.